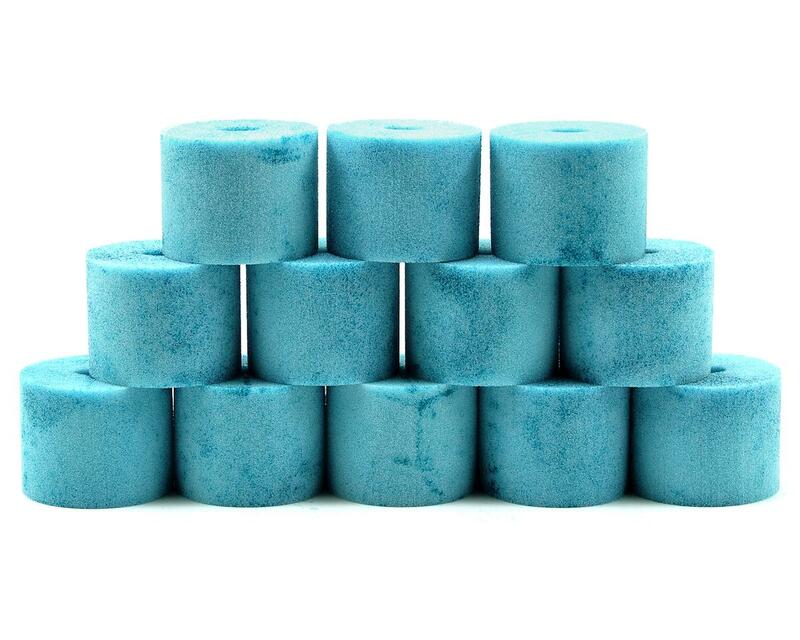 This is a pack of twelve ProTek R/C "DustBuster 2" Mugen MBX7 Pre-Oiled Air Filters. In the unforgiving world of 1/8 scale off road, something as simple as the air filter can be the difference between success and failure. The air filter system is the only thing preventing dirt and other contaminants from getting pulled into your vehicles engine. This small component could become the source of an expensive problem in the time it takes to burn through a tank of fuel! Many filter's are adequate, but when it comes to your engine, adequate is not good enough. Your prized engine deserves the best. 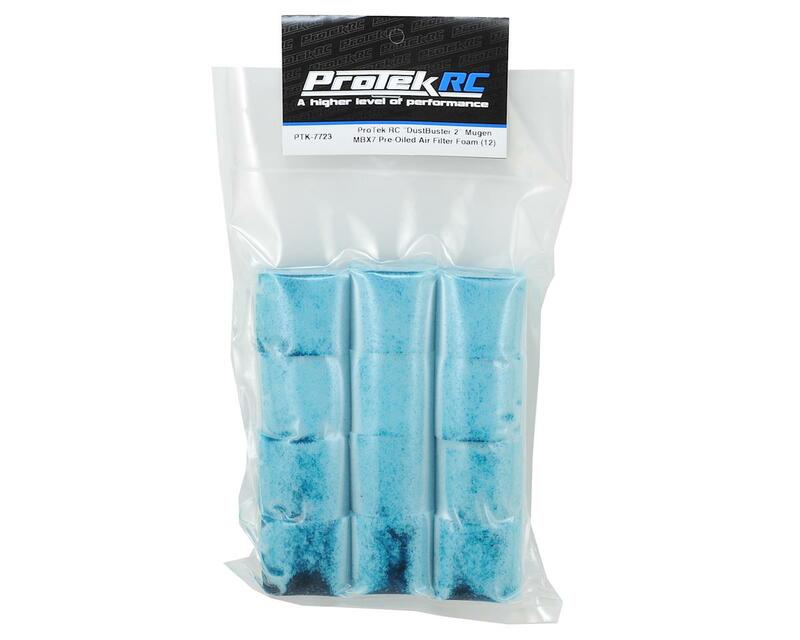 Manufactured in Germany by the worlds leading R/C air filter company, ProTek R/C "DustBuster 2" air filters are specially designed and precision cut to fit the Mugen MUGB0120 filter housing within a .2mm tolerance. The unique white filter material is superior to anything else available, delivering incredible airflow and at the same time preventing even the smallest particles of dirt from finding their way inside your valuable engine. Plus, the bright color makes it easy to see just how dirty your filter is. So stop crossing your fingers and start ProTekting your engine with a quality air filter that is as effective as it is affordable. Great filters.. Zero issues and they fit perfectly..